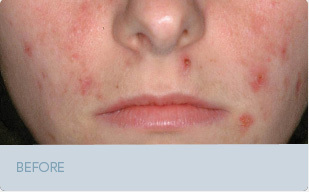 Acne is a common skin disease that begins at adolescence, and for many can continue into adulthood. Because it is associated with changes in hormonal levels, it can affect adults, particularly women, who have no previous history of the disease. It typically affects skin where there is the densest population of sebaceous hair follicles, which explains it occurring mostly on the face, upper chest and the back. Successful acne treatment varies from individual to individual, therefore we offer a several different acne treatments and procedures and our Acne Treatment Center staff works one-on-one with patients to customize a program best suited for their individual needs. We provide a complete team approach to treating acne that includes a skin care pharmacy and boutique where we offer exclusive, custom-formulated products. Our medical aestheticians are unique in Miami, having trained specifically to work with acne patients and completed a 6-8 month internship working alongside the dermatologist before seeing patients. During your treatment, they will track your progress, review your medications and provide Clinical Facials and/or Chemical Peels designed to improve your skin as quickly as possible. They serve as your advocates if they see the treatment is not performing optimally and will help communicate your needs to the providers. Barba Skin Clinic dedicates four rooms specifically to the treatment of acne patients and we also offer emergency pimple injections on a walk-in basis for patients that need to get clear for an important event. The treatment involves applying a solution called Levulan on the skin where it is absorbed specifically by overactive oil glands and the bacteria responsible for acne. 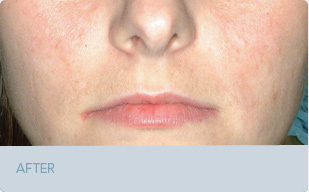 Light from a laser activates the solution to kill bacteria and shrink the oil glands, resulting in a significant improvement in moderate to severe cystic acne, often without the use of systemic medications. Levulan® therapy is safe and can often help patients who have failed other therapies. Usually 3-4 treatments are required. When a blemish strikes before an important event, this treatment is a lifesaver. A very dilute cortisone solution is injected directly into the pimple, which quickly flattens out and heals the acne lesion. It’s perfect when you need to look good now. All registered patients of Barba Dermatology and Barba Skin Clinic are welcome to stop by our clinics for emergency pimple injections during regular office ours. Call us to schedule an appointment or feel to walk-in. We have lasers to treat active acne and help with healing. We also have multiple lasers to treat the negative consequences of acne; dark spots, red spots and scarring. A consultation is necessary to determine the right treatment for you.